Led by Board of Advisors member Major General Mark Graham, USA (ret. 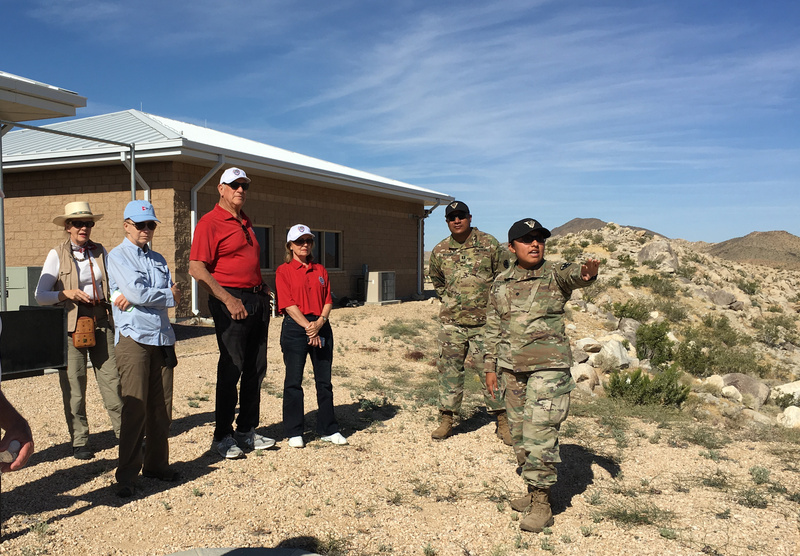 ), leaders of the Military and Veterans Appreciation Trust Foundation (MVAT) spent a day and half in early June at the U.S. Army’s National Training Center (NTC) at Fort Irwin, California. 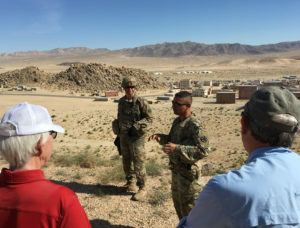 The visit, the second of MVAT’s Veterans of Tomorrow program, was hosted by Brigadier General Jeff Broadwater, Commanding General NTC and Fort Irwin. 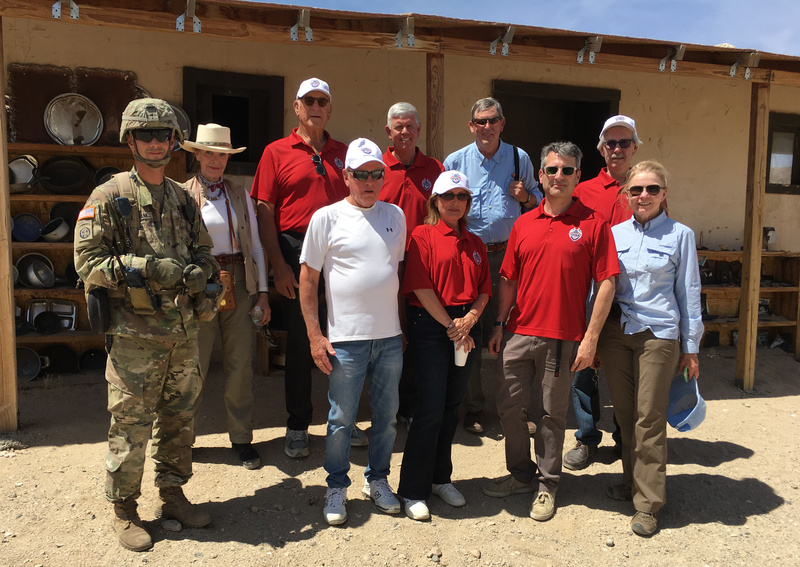 The MVAT delegation at one of the three mock Middle Eastern towns at the National Training Center at Fort Irwin. The Veterans of Tomorrow program provides opportunities to gain a greater appreciation and understanding of American military service members, all of whom will one day be veterans. A critical component of the program are opportunities to spend time with young service members in their place of work, to learn about their motivations to serve, the experiences and challenges the have faced, and their future aspirations. “This was an eye opening experience for me. Often we hear of wasted tax money for military expenses authorized by Congress. Well, I have to say that Fort Irwin and the NTC is one of the best values for our dollars. Because of places like Fort Irwin, citizens of the United States should feel safe and well protected,” one participant said. 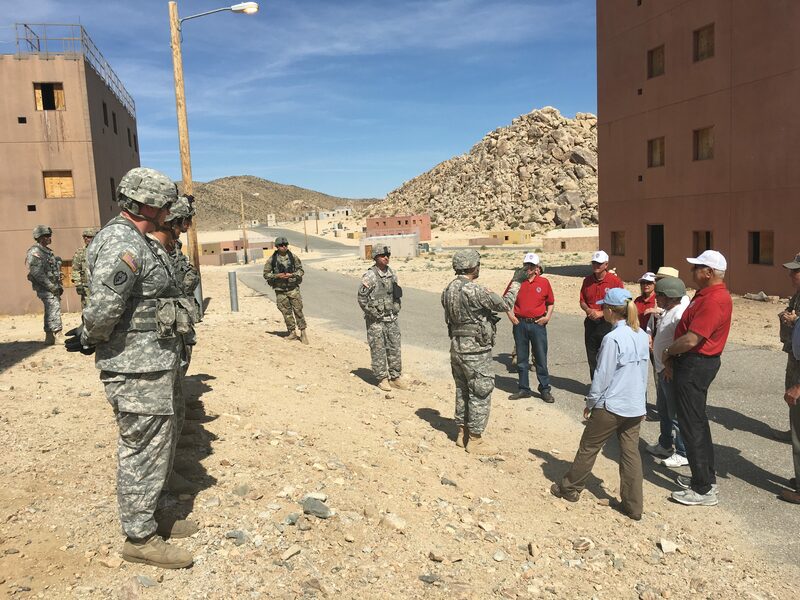 Fort Irwin and the NTC comprise the U.S. Army’s premier training center. 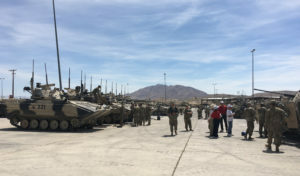 The 11th Armored Cavalry Regiment is permanently stationed at Fort Irwin to provide an opposing force for Regular Army, Reserve, and National Guard units based across the country that visit Fort Irwin and the NTC as part of their training rotations. Marine Corps ground units and foreign military forces also make use of the NTC. Visiting units and their soldiers learn what it takes to be battle ready through realistic combat and peace enforcement scenarios played out across the National Training Center’s 1,000 square mile instrumented desert range (known as “the Box”) and in the three mock Middle Eastern towns used for urban warfare training. The large-scale maneuver battles in the Box can involve hundreds of M-1 Abrams main battle tanks, M-2/M-3 Bradley Armored Fighting Vehicles, and all types of wheeled vehicles. 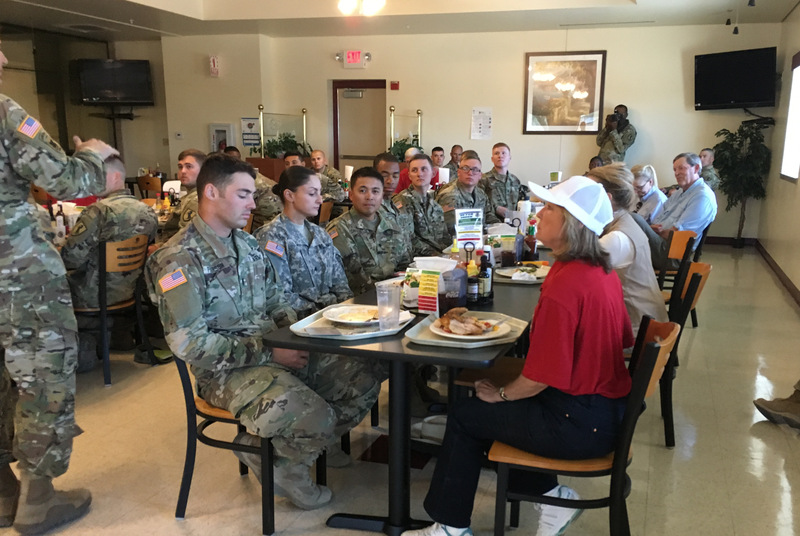 MVAT delegation members dine with young soldiers of the 11th Armored Cavalry Regiment at Fort Irwin. The mock towns, the largest of which contains several hundred buildings, are “populated” by actors, chiefly immigrants from the Middle East, who are able to create many of the stressful situations U.S. troops find themselves in when dealing with local populations in Iraq, Afghanistan, and Syria. Visiting troops learn to utilize their training in local social customs and norms in realistic situations made possible by these actors. They have the opportunity to learn how to avoid unintentionally causing offense through the violation of local cultural and religious practices. These skills are all tested through stressful scenarios that include working with host country government and military units, internal strife that is not directed at U.S. forces but which often erupts violently in the midst of U.S. operations, sometimes hostile locals, and American forces’ dependence on host country interpreters for communication with the civilian population. At the main observation center above the largest of the mock Middle Eastern towns, a NTC soldier explains the systems of cameras, microphones, loudspeakers, and smells generators placed throughout the town. 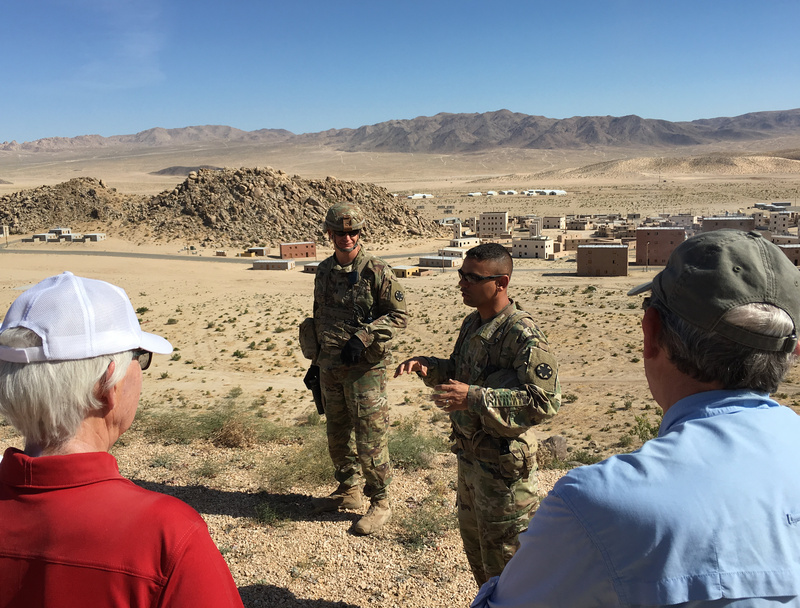 A senior NCO of the 11th ACR briefs the MVAT delegation at the main observation center overlooking the largest of the mock Middle Eastern towns, a small portion of which can be seen in the distance. All soldiers, civilians, and vehicles engaged in the training exercises wear sensors to detect when they’ve been struck by bullets fired from real weapons modified to shoot harmless laser beams as well as detecting the lethality of explosions. In addition, cameras are positioned all around the area to record the action. After the completion of and training event, NTC personnel guide intense debriefing sessions held by the command groups of the visiting unit. MVAT delegation members were briefed in the 11th ACR motor pool. In addition to maintaining hundreds of U.S. vehicles made to look like Russian combat vehicles, such as these M113 armored personnel carriers mocked up to appear as Russian BMP-3 infantry fighting vehicles, 11th ACR soldiers must not only maintain their Bradley M3 IFVs and M1-A1 Abrams main battle tanks (not seen), they must be proficient at operating them. Soldiers in these visiting units don’t know exactly what to expect when they begin an exercise. In addition, each exercise evolves through the unscripted actions of the players in the scenario. It is reported that one day of these scenarios at the NTC is equal to one week in theater because of the intensity of the events created for the visiting troops. Interacting with soldiers of the 11th ACR in their workplace at the National Training Center was a rare opportunity to gain an important understanding of the many factors that motivate young Americans to serve their country. Observing them perform challenging tasks in the broiling desert heat and knowing that is what they do year round and at an extremely high level of excellence gave the MVAT delegation a tremendous sense of pride in the U.S. Army. One day, every single soldier met during the course of the program will become a veteran. 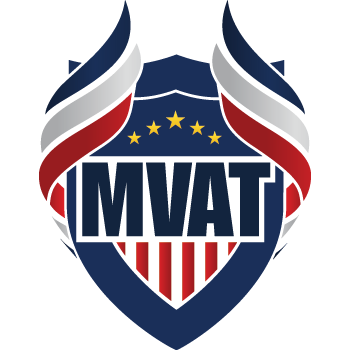 And MVAT will be there to ensure they are supported.